The famous "Welcome Las Vegas" sign, featured in many classic movies can be found at the end of the Las Vegas Strip, not too far away from the international airport. Maybe one of the most famous signs in the US - the "Welcome to Fabulous Las Vegas" sign. The sign was featured in many classic movies which featured Las Vegas. No surprise that it is still one of the most photographed tourist attractions in Sin City. The sign is located at the "airport end" of the Las Vegas Strip. 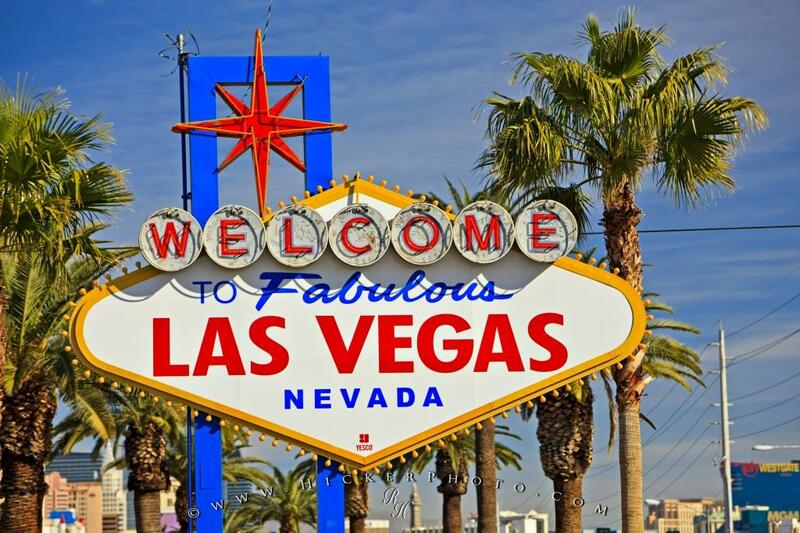 Photo of the classic "Welcome to Fabulous Las Vegas" sign in Las Vegas, Nevada, USA.